We know what you're thinking: there's another superhero movie and this one is a reboot? Over the years, we've seen countless superhero movie reboots: some, like 'Man Of Steel' did OK, while some, like 'The Amazing Spider-Man' series, totally flopped. The latest superhero movie to attempt the whole reboot thing is 'Hellboy'. 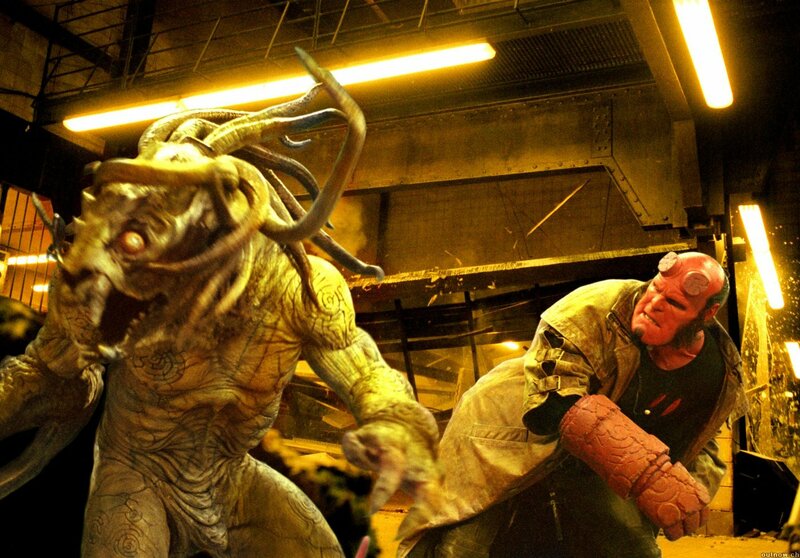 Back in the early 2000s, the two 'Hellboy' movies achieved pretty good success, while also amassing a cult following. It's not hard to see why: Ron Pearlman was a pretty convincing Hellboy, the storyline was straightforward but fun, and boy, who could forget Selma Blair, right? So, we guess it's only natural for the movie studio to leech off the success of the previous two movies and announce a reboot. 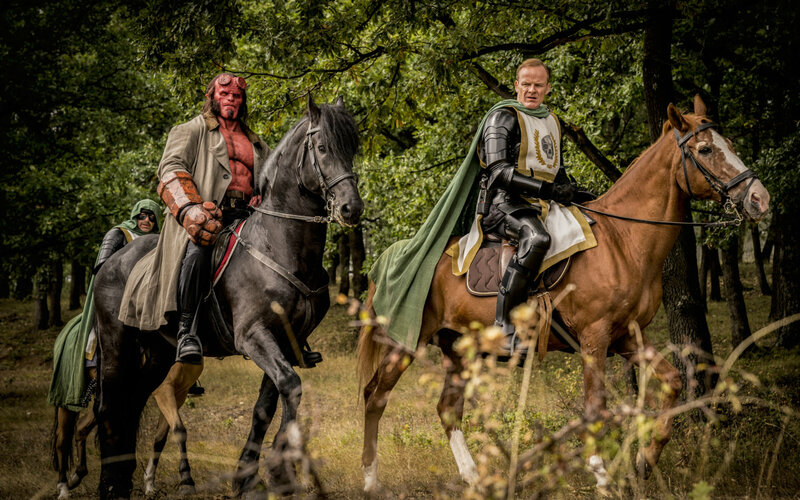 The 2019 version of 'Hellboy' follows almost exactly the premise of the original movie: a demon boy conjured by the Nazis to help them win the World War II was adopted by a professor and when he grows up, joins a secret government organisation called the Bureau of Paranormal Research and Defense (BPRD) to fight other supernatural beings. 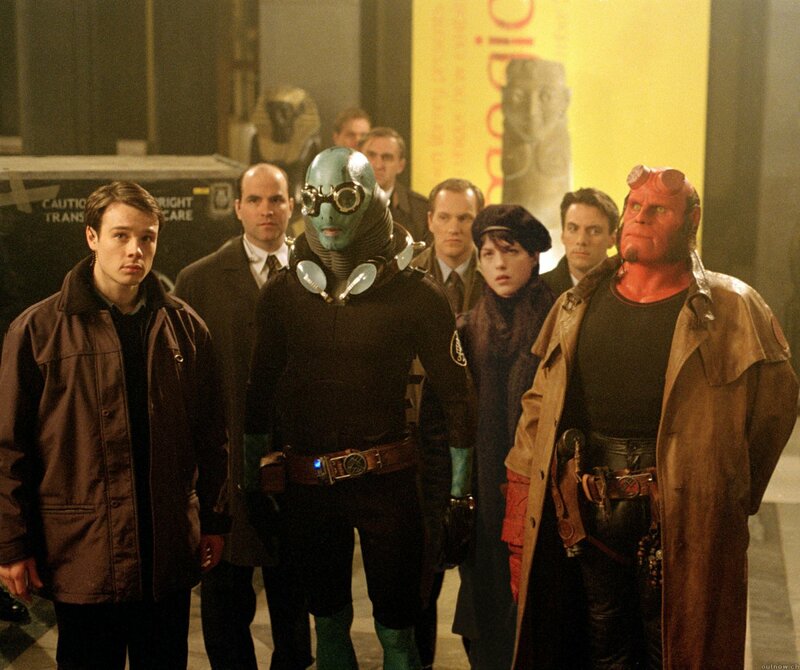 In this movie, Hellboy and his team of sidekicks come face to face with an ancient witch who threatens to destroy the world...with the help of our superhero. 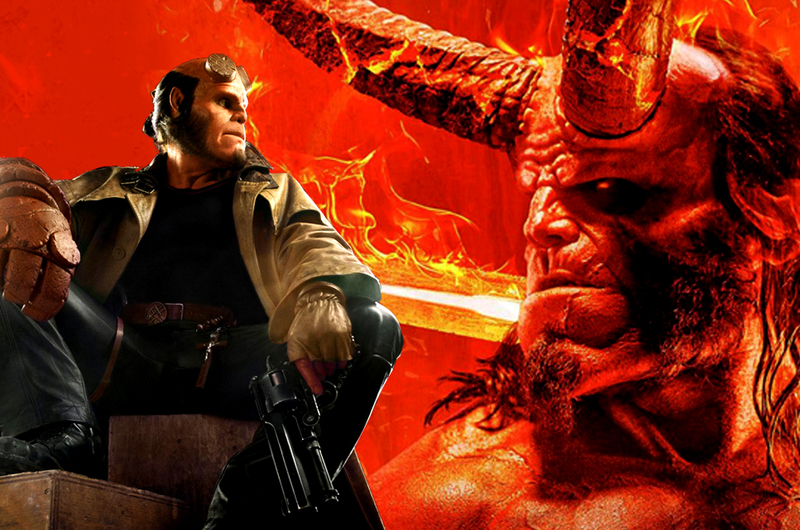 But here's the million dollar question: is the 2019 version of 'Hellboy' better than the OG? 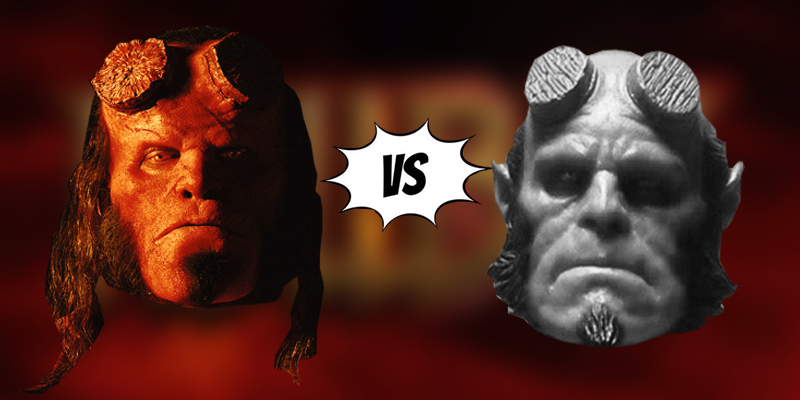 To help answer that question, we try our best to compare the original 'Hellboy' to the current re-booted one, and we'll let you know which one is better. The 2019 version of Hellboy is played by David Harbour, best known for his role as Sheriff Jim Hopper in 'Stranger Things'. 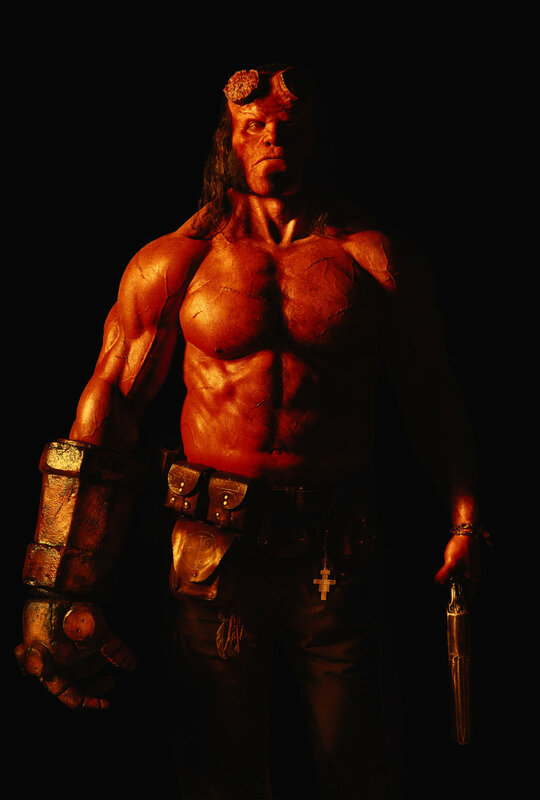 Harbour's version of Hellboy is very different than the 2004's version, played by Ron Pearlman. While Perlman's Hellboy was less charming and a lot more intimidating, Harbour brings more charisma and humanity to the role. Harbour's Hellboy oftens throw out wisecracks that will make you laugh, and underneath his massive swole body and menacing right arm, he has a soft human side. He's kinda like a giant red teddy bear - but a foul-mouthed one at that. Pearlman's version was more confident-bordering-cocky, and what we felt was missing from Harbour's Hellboy was the devil-may-care attitude. For a little demon baby that was conjured up to help the Nazis win World War II, Harbour's Hellboy, we felt, cared a little bit too much about those around him and what they think of him. Despite not being very 'Hellboy'-like compared to his comics counterpart, we have to give David Harbour the point here. Not only did we like his foul-mouthedness (he does swear like the devil, we have to say), we also enjoyed his devilish appearance as well. 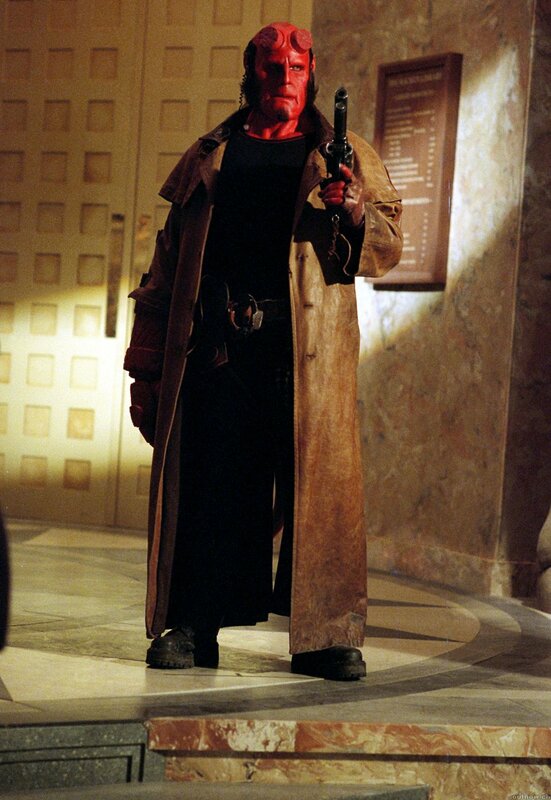 Sure, he did not have that intimidating factor like Pearlman did in the 2004 movie, but Harbour makes Hellboy more relatable, in the sense that, like some of us, he had to earn his father's respect. The wisecracks from Harbour were also absolute gems. We loved it. OK, so, while researching and rewatching the 2004 'Hellboy', we felt that the storyline and the plot was just too simple. Demon baby raised to become more humanlike, works for a secret government agency, bad guy kills father, goes on a hunt to kill bad guy, rejects his destiny to destroy the world, save the world instead. Pretty textbook stuff. No drama, not jaw-dropping plot twists, A to B start to finish, that's it. But after watching the 2019 'Hellboy', we realised that we prefer the simple, thank you very much. The reboot retains the same premise as the 2004 'Hellboy', but there were so many sub-plots thrown into the main plotline, it just lost us about an hour into the movie. We vaguely remembered something about an assination attempt, a man turning into a cheetah (or a leopard, we can't tell), something about King Arthur and the Excalibur and a house on legs. Yeah, we know, it's super messy until the point that we didn't know what we were watching anymore. 2004 'Hellboy', hands down. That whole King Arthur bombshell (we'll get to this later) honestly totally ruined the entire movie for us. We felt that it would be more enjoyable if King Arthur was removed entirely from the plot. Give us more monster-bashing action and less plot twist/drama, please! Remember the lovable psychic, amphibious humanoid Abe Sapien (played by Doug Jones) and the extremely powerful pyromaniac Liz Sherman (played by Selma Blair) from the 2004 film? Together with rookie agent John Myers (played by Rupert Evans) and Hellboy's stepfather Trevor Bruttenholm (played by John Hurt), they form a pretty tightknit crime-busting family. 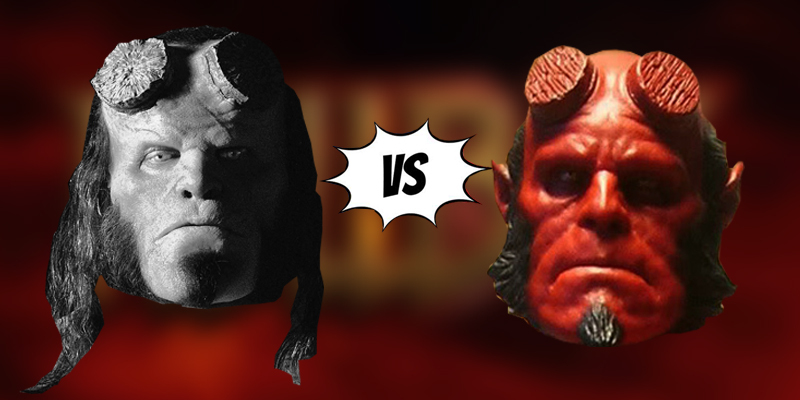 Their traits complement each other fairly well: where Hellboy is a hot-headed monster, Abe is the voice of reasoning. When Liz feels insecure about herself and her powers, Hellboy is there to provide comfort. Trevor and John are the glue that keeps everyone grounded. 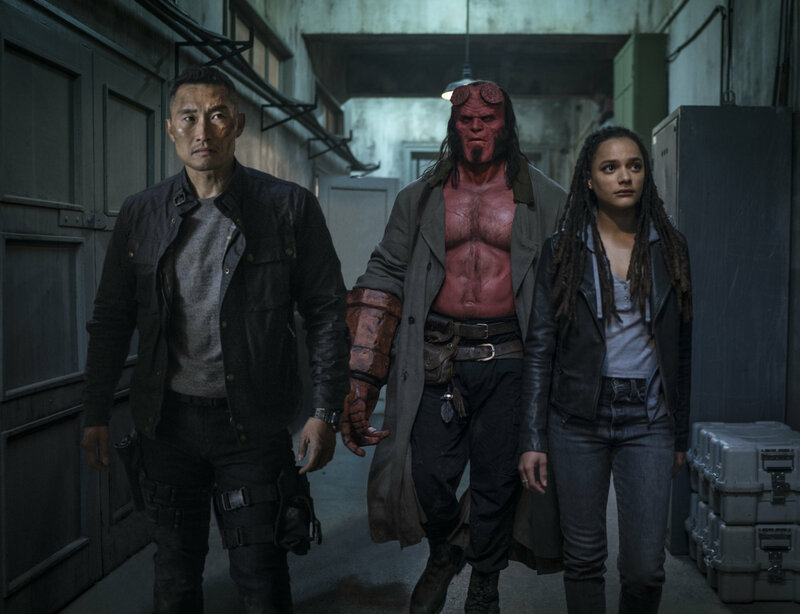 In the 2019 reboot, Hellboy is joined by Alice Monaghan (Sasha Lane), a psychic with magic abilities, and Ben Daimio (Daniel Dae Kim), a hardened military member of the BPRD. The role of the stepfather, Trevor Bruttenholm, is played by Ian McShane. The entire dynamic of this ragtag team is, to be honest, a big mess. There were hardly any chemistry between Harbour, Lane and Dae Kim at all. We know there were supposed to be 'strangers' who have never worked with each other before, but the entire time they were together, it felt like they would be better off without each other. The characters of Alice and Ben are pretty forgettable. Both characters got a brief 20-second origin story, so they can't really blame us if we don't invest any emotions into them. The holy trinity of Abe-Liz-Hellboy for the win. Abe and Liz have better superpowers than Alice and Ben, so that's a big differential right there. The one area that the reboot triumphs over its predecessor is definitely the action scenes. This movie features action scenes almost from start to finish. Throughout the entire two hours we were in the cinema, we saw Hellboy go toe-to-toe with giants, vampires and even witches. The action scenes give us a much-needed break from the messy plotline. However, when it comes to the climatic boss fight, its predecessor did it much better. Oh, before we forget, this movie is rated 18, so please do not bring your kids to the cinema. There are tonnes of blood and gore, so you'll see lots of people being torn apart with their intestines hanging out, jaws being ripped and limbs being dismembered...and the movie forces you to watch it. 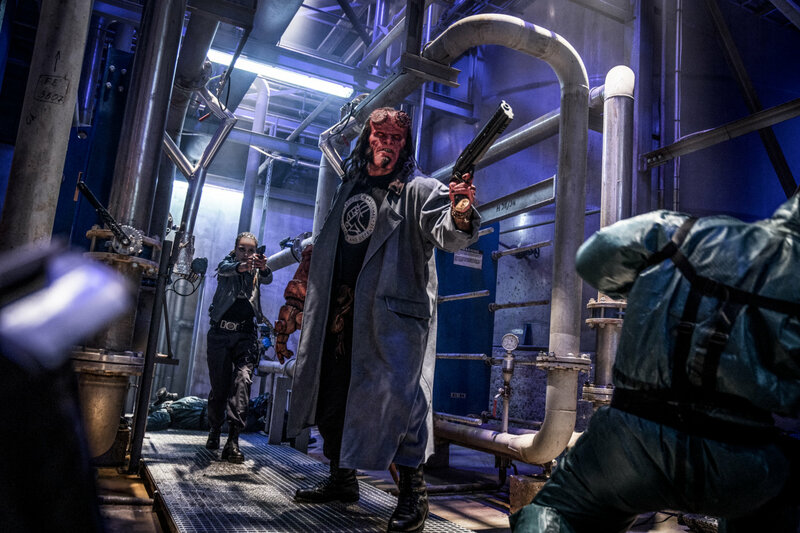 If you love your superhero movies with a side dish of innards and cuss words (like us), 2019 'Hellboy' is a clear winner. Even if you don't, the action scenes are good enough to keep you entertained. We have a saying in our office which we believe kinda resonates with a lot of you out there: how good a superhero movie is depends on how good the villain is. Unfortunately for 2019 'Hellboy', its main villain is its biggest disappointment. The ever-pretty Milla Jovovich plays Nimue, also known as the Blood Queen, an ancient British sorceress hell-bent on destroying the world. She was stopped by - yes, you guessed it! - King Arthur with the Excalibur, and she spent the next two milleniums being locked away. Of course, as you could have predicted by now, the Blood Queen was resurrected and it's on Hellboy's shoulders to stop her from destroying the world. The only problem with that is: Nimue is a lame big boss. After being teased almost the entire movie that Nimue is a super powerful witch who could destroy the world with a snap of a finger (heh!) and everyone must do everything to stop her from being resurrected, she came back just to...do nothing. 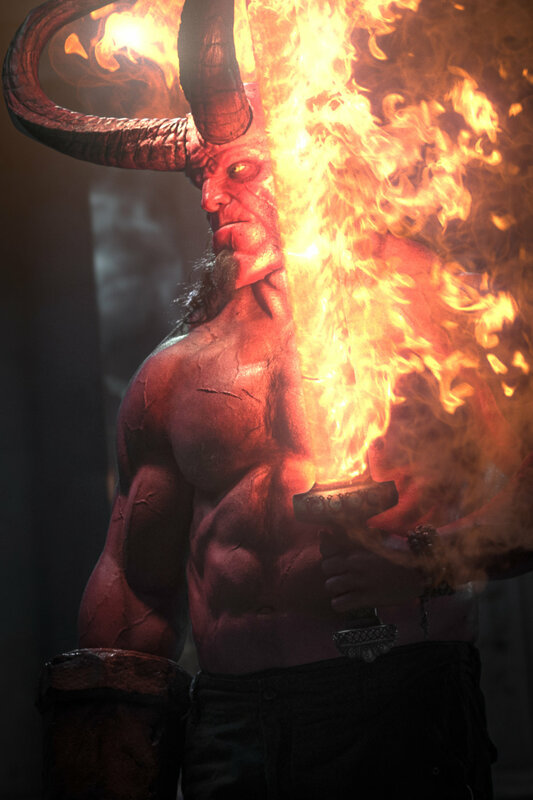 The big baddies from the original 'Hellboy' movie, the mechanical sword-wielding Kroenen and the evil Rasputin, left a bigger (and better) impression on us. Who could forget Kroenen winding up his mechanical heart and single-handedly slashed his way into BPRD? The point goes to 2004 'Hellboy'. Milla is a really good actress and she did a very good job at making Nimue as intimidating as possible, but it was the writers who failed to make Nimue a good supervillain. It's frustrating because we felt how big a potential Nimue has as villain, but due to the script, she was as boring and as silly as The Enchantress in 'Suicide Squad'. 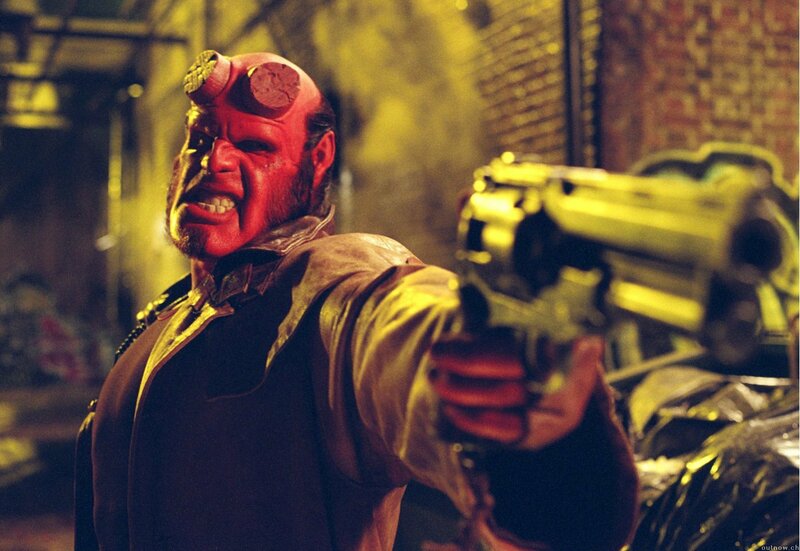 While the new 'Hellboy' movie has better action scenes and a more mature sense of humour, we still think the 2004 version is a more enjoyable movie, due to the fact that it did everything much better. 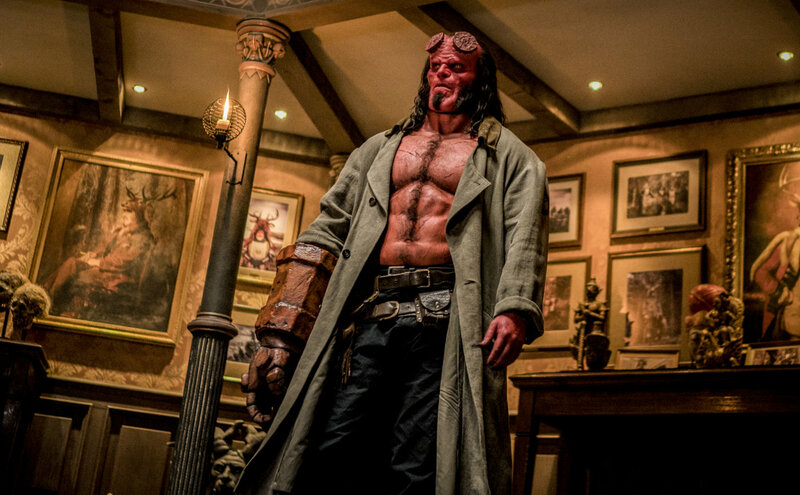 If you're looking for a PG18 superhero movie to fill your time while waiting for 'Avengers: Endgame' to hit the cinemas, then we guess there's no harm for you to catch 'Hellboy'. However, don't expect this reboot version to be as polished and as charming as the original movie. Our recommendation? Go into the cinema with no expectation and maybe, you might enjoy the ride. 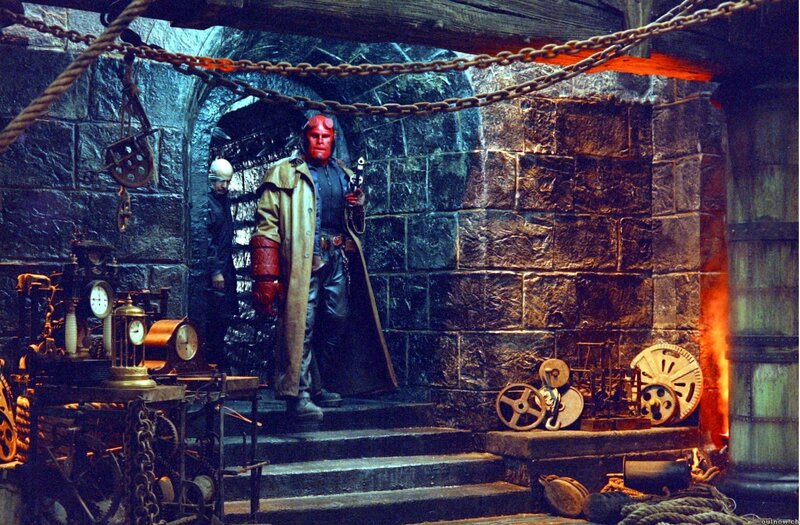 'Hellboy' is now showing in cinemas nationwide. Prep Your Proton Packs, A Sequel To The Original 1980s 'Ghostbusters' Films Is Coming!